Recently, I have been so stressed, and this stress probably won't leave entirely until deadlines are finished and I am in a secure job. In fact, even then I'll still be stressing over something or other. I am just a natural stresshead. If there is something to stress over I will, and that is why it's good when I notice it and do something about it. Over the years, I have noticed that I need exercise. For me exercise wards off stress. And believe me, when I am stressed I'm not very nice to be around. I could get stressed over a paper bag. Is that even a saying? Oh well, I am a stresshead and that's that. But sometimes it is nice to just drift back, forget the world and do something for me. Like I have already mentioned, for me exercise is number one but you really can't beat a good, stress-free bath. Baths are great. Sometimes, I really don't feel like running one and I go weeks without turning on the tap and pouring in the bubbles. 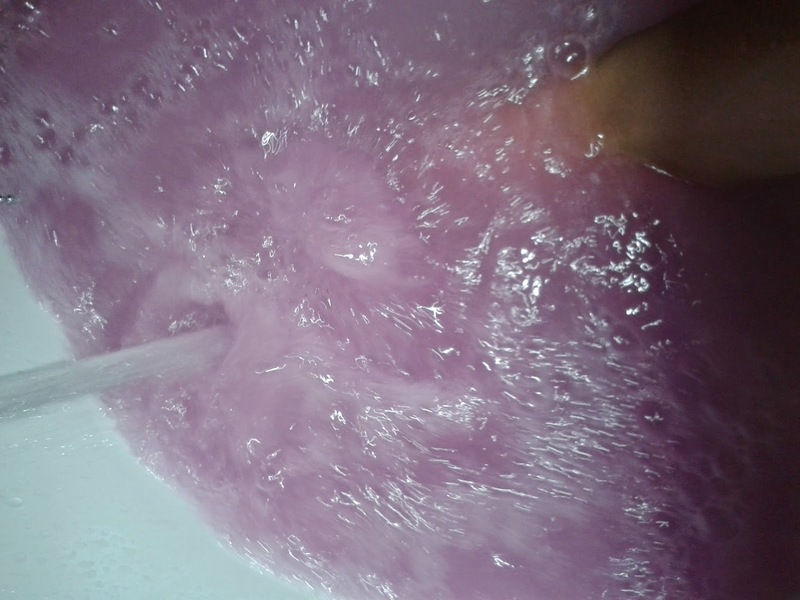 But when I do have a bath, I like to make it special. Back in December when I was going University in the Week and going to work on the weekend, Lush Bath Bombs were an essential, and sometimes they even got me through the working day, knowing I had that and a glass of vino to look forward to! And so today, I am going to share one of my latest favourites with you. 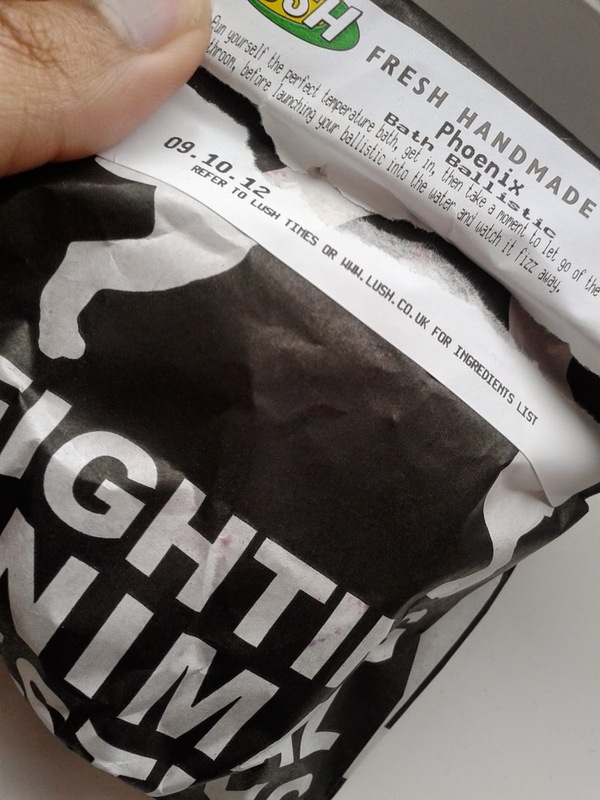 The bath bomb I am sharing with you is the 'Phoenix Rising' and it really is as dramatic as its title. I first purchased this bb back in December, but it was a gift for my sister as part of her Christmas bundle. When she used it, she called me in and we watched to see what this one was going to do. 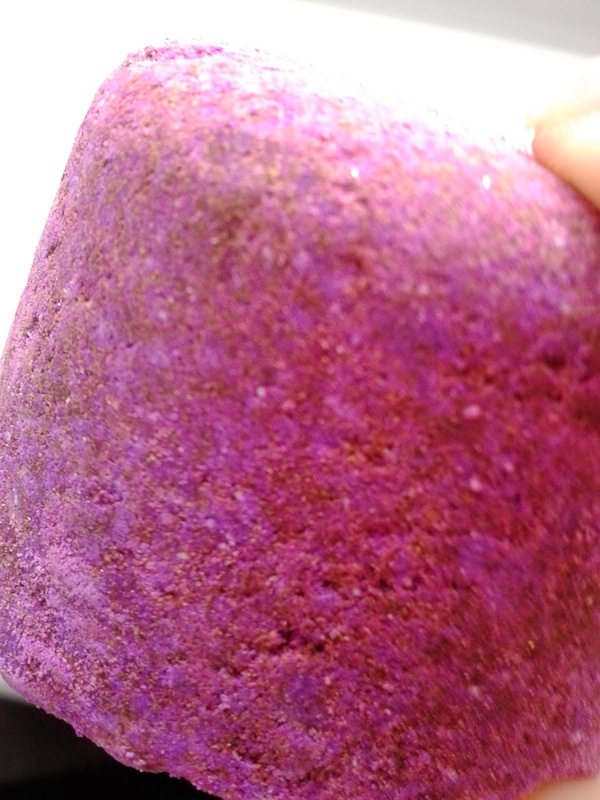 All Lush bath bombs do something unique and we couldn't quite contain our excitement. Ok, ok, so I couldn't quite contain myself! Like I said above, they are something special and every time I use one it feels like an expensive treat. The prices are really affordable if you check out their website you will see what I mean! 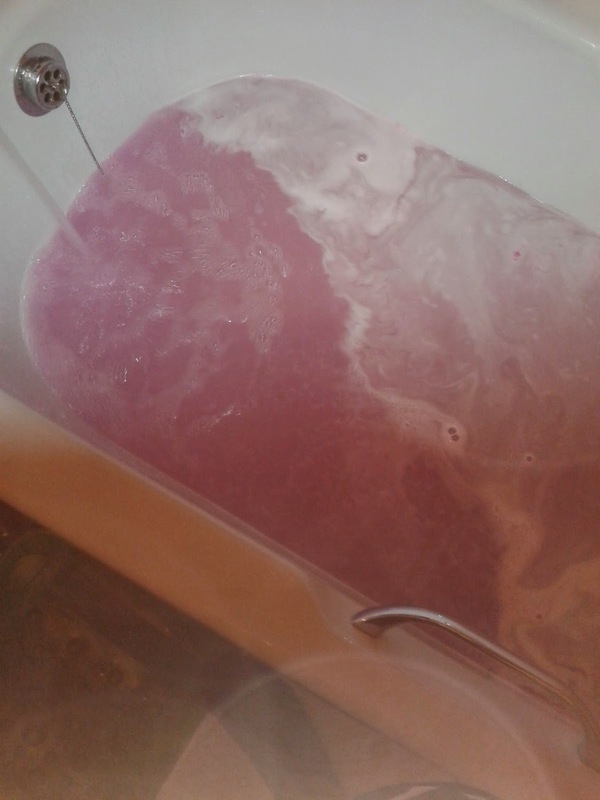 Obviously, no-ones using a bath bomb every night of the week. They are meant to be used as a treat and compared to getting your nails done or having a massage (both of which I love!) it isn't as pricey. Beauty on a budget is one way to look at it. Anyways, getting back on track! 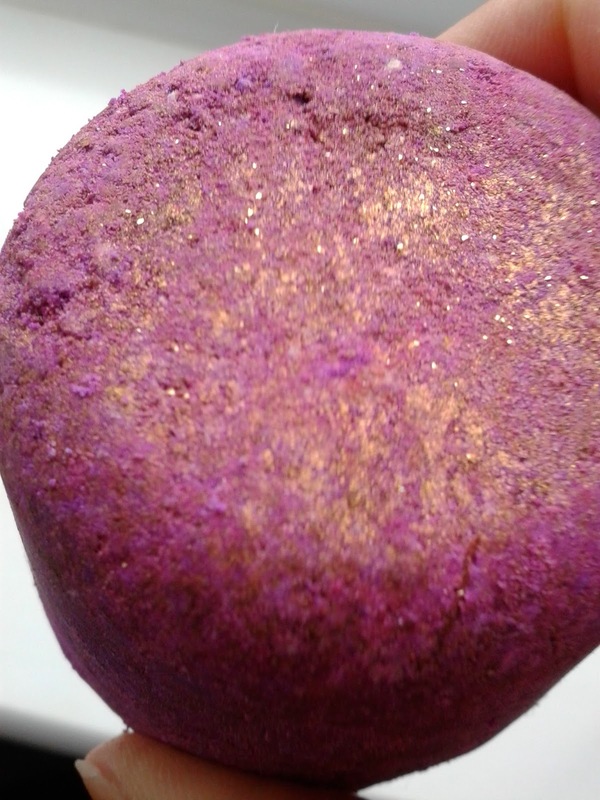 The 'Phoenix Rising' is purple, a weird shape and the outer layer is covered in gold dust. 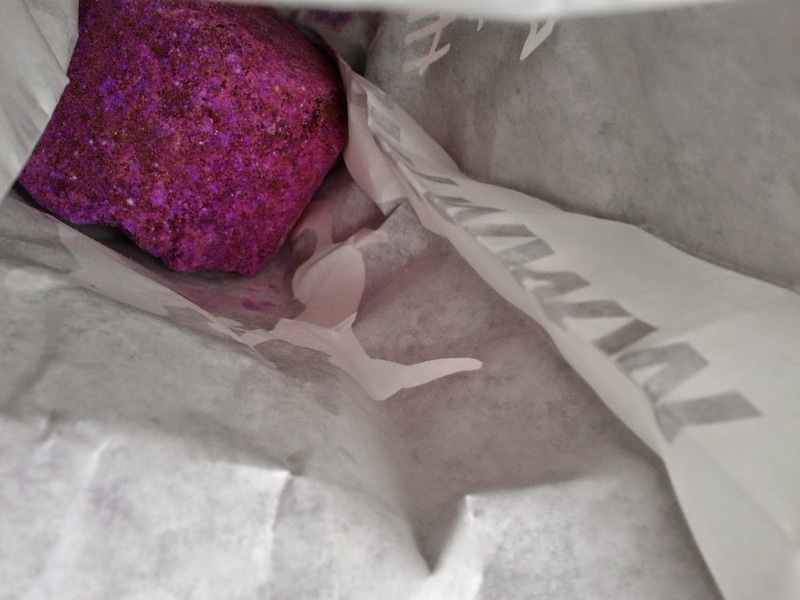 It's one of the prettiest bath bombs, and the main reason why I got one as a gift in the first place. 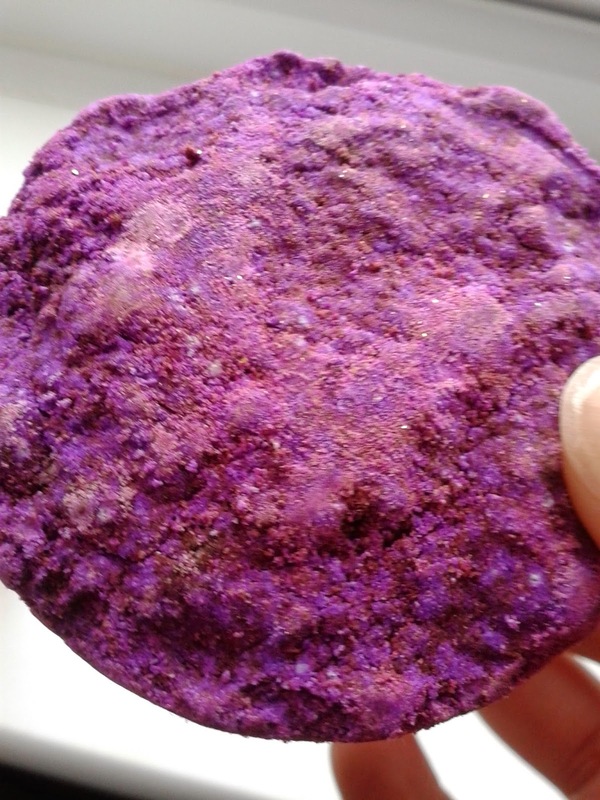 Apart from looking pretty, this purple stone does wonders for your skin. They sum this product up with a quote 'Rise refreshed and hydrated', and I can agree, it does both! 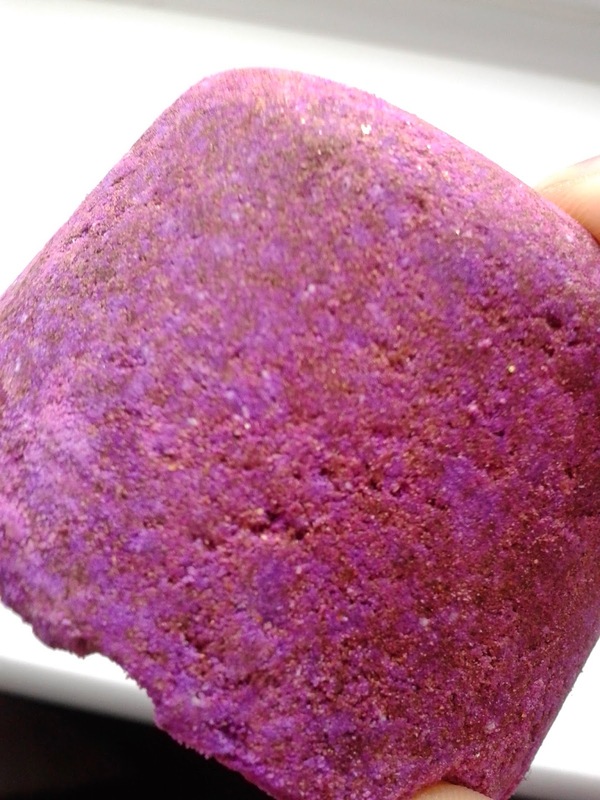 The reason I repurchased it for myself was because I wanted a bath bomb that was infused with oil, and the nice lady in the store suggested a few and amongst them was this one. It has an array of ingredients, the main four being; Bergamot Oil, Fair Trade Shea Butter, Cassia Oil, Organic Jojoba Oil . With this mixture of oils and butters, it is easy to see why your skin feels so nourished afterwards. I got out the bath feeling like I had already moisturised! And it freaked me out in the best way possible. My only negative niggle is that it did stain the bath slightly, only slightly though and with some spray and a wipe down it was gone and it is definitely worth it for all the benefits it gives. You may be wondering why I only gave it a 3. The reason behind it is as follows; I wasn't a fan of the scent, and because of this it didn't make my favourite Lush products list. However, I would definitely repurchase this item, just because it made my skin feel great! For those out there who have never tried Lush products, I would say pop in, have a chat with the staff and find out a bit about the products. And then when you've found out what is good for your skin, try out the products and treat yourself!